1. Otake Y, Yozu A, Fukui T, Sumitani M and Haga N: Relationship between toe flexion movement and center of pressure position. Int J Foot Ankle 2(2), 2018. 3. Osumi M, Sumitani M, Otake Y, Morioka S: A "matched" sensory reference can guide goal-directed movements of the affected hand in central post-stroke sensory ataxia. Experimental brain research, 2018. 5. Osumi M, Sumitani M, Otake Y, Morioka S: Fear of movement modulates the feedforward motor control of the aﬀected limb in complex regional pain syndrome (CRPS): A single-case study. Med Hypotheses 110: 114-119, 2018. 6. 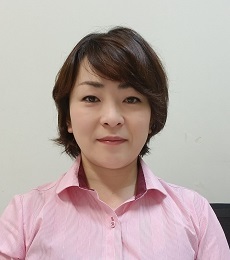 Osumi M, Sumitani M, Abe H, Otake Y, Kumagaya SI, Morioka S: Kinematic evaluation for impairment of skilled hand function in chemotherapy-induced peripheral neuropathy. Journal of Hand Therapy, 2017. 7. Fukui T, Otake Y, Kondo T: The effect of new taping methods designed to increase muscle strength. The Journal of Physical Therapy Science 29(1):70-74, 2017.